Typically, this is the part of the post where I give you a little sales pitch about the recipe where I try to convince you to drop everything and make it. Something tells me a solid layer of dark chocolate peppered with chewy dried cranberries and crunchy pumpkin seeds and topped with a sprinkle of pumpkin pie spice (which, incidentally, tastes wonderful with chocolate) needs no such introduction. I mean, just look at it. Well, I suppose you already have if you have gotten this far, you already have, but the offer (demand) still stands. 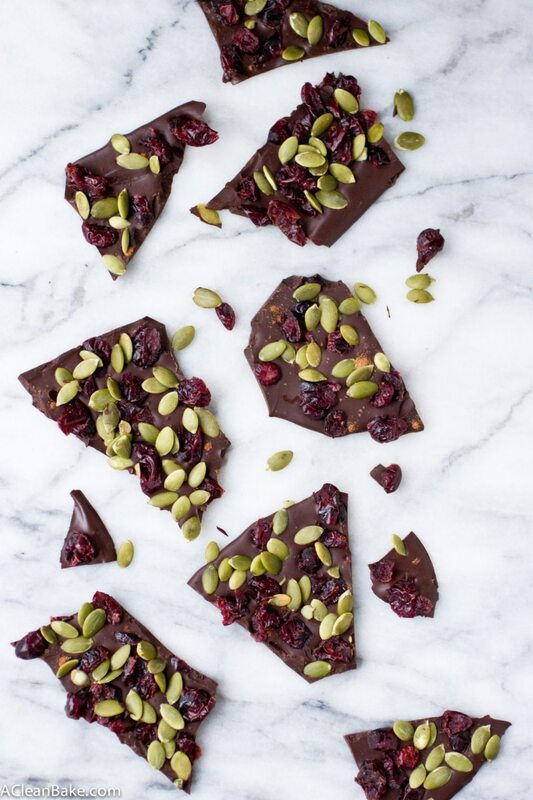 How can you resist this dark chocolate bark? Dark chocolate (duh. ): Homemade or store bought is fine. If you use store bought, make sure it is a bar, not chips, which are engineered to keep their shape. You want the chocolate to melt smoothly. Dried cranberries: ideally, you can find sugar free dried cranberries in your grocery store’s bulk section, but it might require a bit of a hunt. Craisins would work great and are much easier to find, though they do contain refined sugar. Pumpkin Seeds, aka Pepitas (you may see either name on the packaging and they are the same thing): I used raw, but you can use roasted if you prefer. I would recommend trying to find an unsalted variety, so that it doesn’t drown out the flavor of the pumpkin pie spice. I used this raw and unsalted variety. Pumpkin Pie Spice: This one is easy; you probably already have it in your pantry, but you can also make your own. Ok, the recipe also calls for instant espresso powder, which is optional (it helps bring out the chocolate flavor) and salt, but I don’t count that, do you? Even if you do, a six-ingredient recipe is still pretty good, don’t you think? Line a small baking sheet with parchment paper or a nonstick pad and set aside. 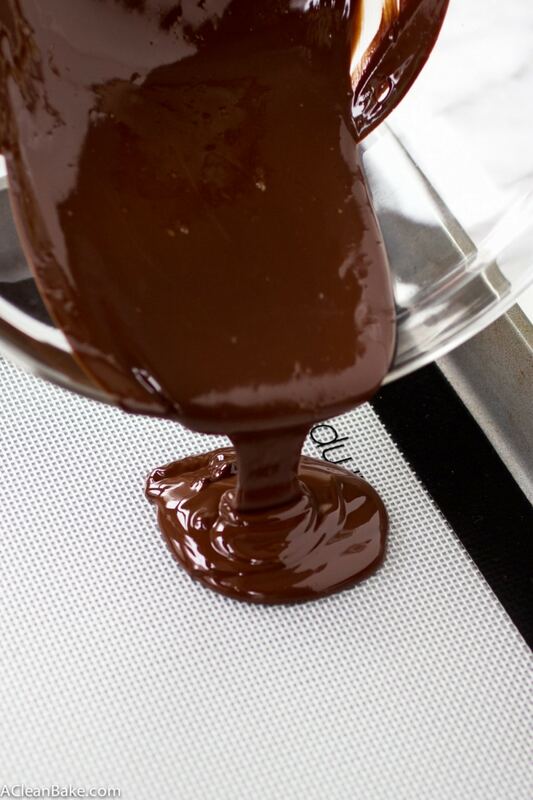 Break the chocolate bar(s) into chunks and place them in a microwave-safe bowl. Heat on high in 30-second increments, stirring in between, until melted. Stir in the salt and the instant espresso powder (if using) and half of the pumpkin pie spice. 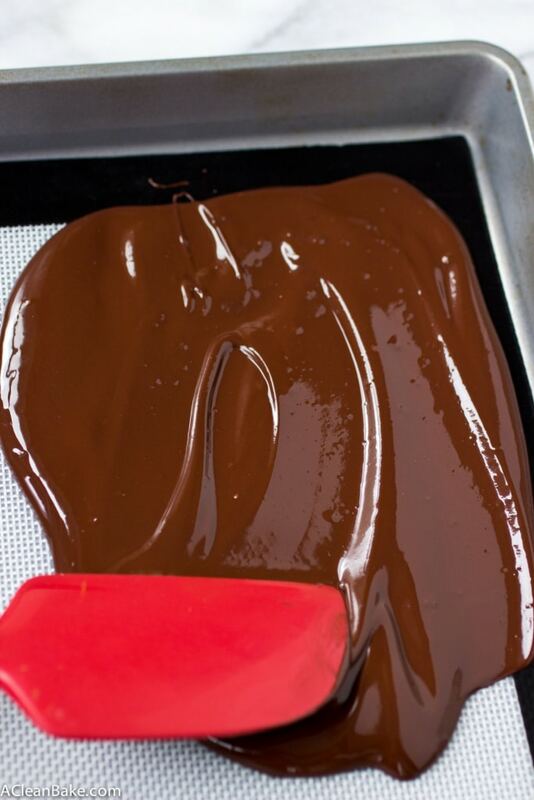 Pour the melted chocolate onto the prepared pan and use a spatula to smooth into an even layer. Sprinkle the remaining pumpkin pie spice evenly over the chocolate. Then do the same with the pumpkin seeds and cranberries. Let the chocolate cool to room temperature, then freeze until completely solid. Use a knife or your hands to break the chocolate into fragments. Dried cranberries: ideally, you can find sugar free dried cranberries in your grocery store's bulk section, but it might require a bit of a hunt. Craisins would work great and are much easier to find, though they do contain refined sugar. Pumpkin Seeds, aka Pepitas (you may see either name on the packaging and they are the same thing): I used raw, but you can use roasted if you prefer. I would recommend trying to find an unsalted variety, so that it doesn't drown out the flavor of the pumpkin pie spice. I used this raw and unsalted variety. It totally does! It’s so satisfying to bite into. I’m so glad you posted this – I’ve been waiting for it! This looks like the best (and easiest!) chocolate bark ever. I love love love the addition of pumpkin pie spice. 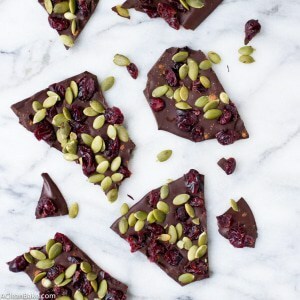 I’m one of those people who do not keep it in my pantry so I love that you included the link – I will have to try both the chocolate bark and the pumpkin pie spice out! OMG it’s so easy and pretty tasty too! I’ve been eating it for… well, basically every meal. Even breakfast. Chocolate and pumpkin pie spice go SO well together. You should definitely try making it! There are a million other recipes out there if you don’t have the ingredients on hand for that one (it calls for mace). Let me know how it turns out! 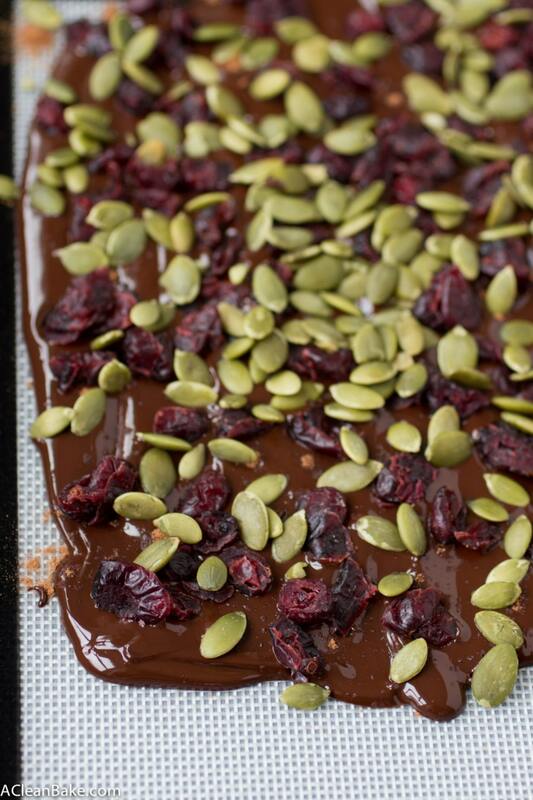 Your chocolate bark looks absolutely delicious! 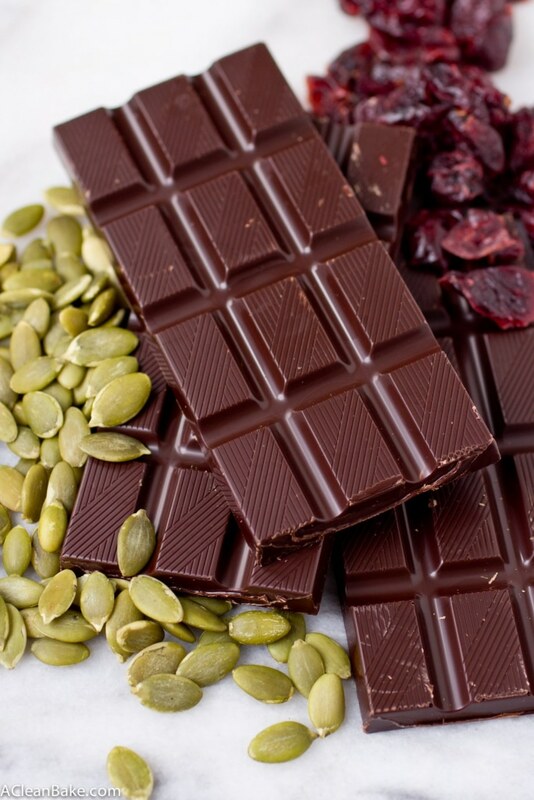 I love the combination of the chocolate and pepitas- they’re my favorite! I love everything about this bark! Im a huge dark chocolate lover and I can see myself eating a piece of this for an afternoon dessert everyday! Only afternoon dessert? You’re far more disciplined than I am! If I make my own chocolate using the linked recipe, do i need to let it set, or can i just use it mixed together as my “melted” start for the bark? Looking forward to trying this out! Ooh, great question, Vanessa! I see no reason to let the chocolate solidify, then melt, the solidify again. I’d say go ahead and make the from-scratch chocolate and just add the pumpkin pie spice (and espresso powder, if you want), then spread it out on a sheet and top it, instead of putting it into molds. 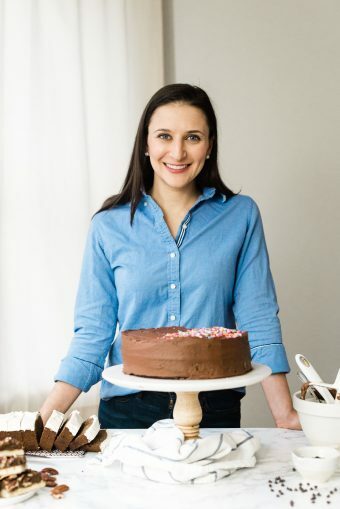 Just make sure you keep the chocolate refrigerated or even frozen, because the homemade stuff has a tendency to melt at room temperature, especially if you have the heat on right now! Thanks! I’ve made the homemade chocolate and peanut butter cups and they were yummy, but they did have to stay in the fridge. They softened in just a few minutes out of the fridge. I forgot to mention: with the super dark homemade chocolate, you might want to increase the pumpkin pie spice just a hair so that it is not overpowered by the very strong cocoa flavor. Let me know how it turns out for you! 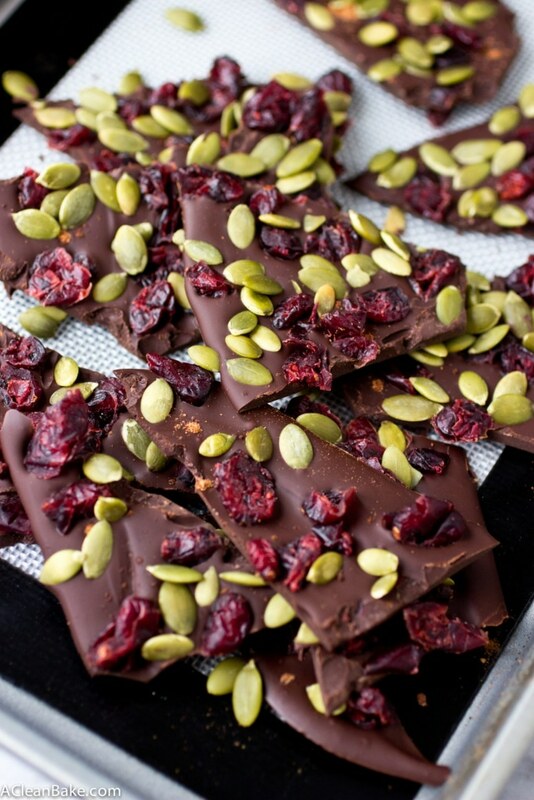 What a lovely chocolate bark recipe! I’m a fan of the pumpkin spice twist, plus dark chocolate…How could one resist?